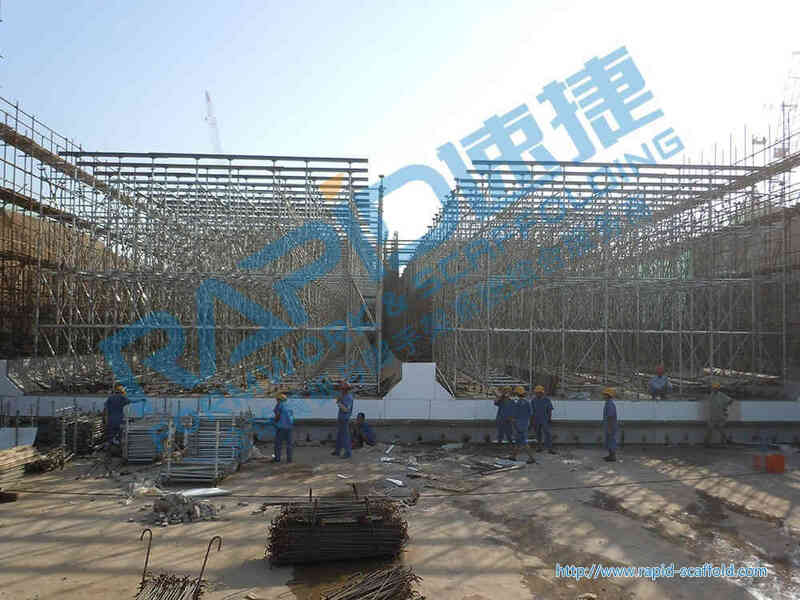 Nanjing Lukou International Airport airfield channel project(F1-3 section),located in the south new terminals, about 796m long,consisted by double orifice box culvert u-shaped slot and general road.The max height is 9.8m. 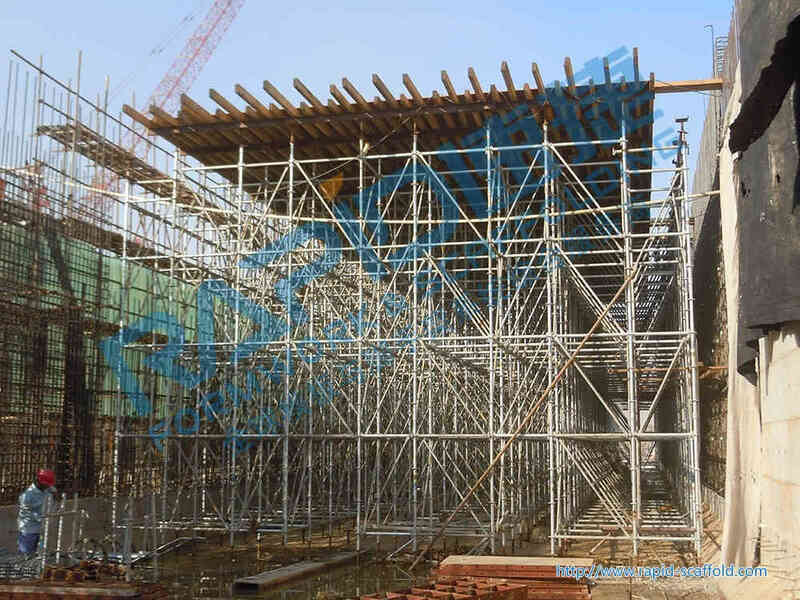 The second phase expansion project of thickness is 1100 mm. 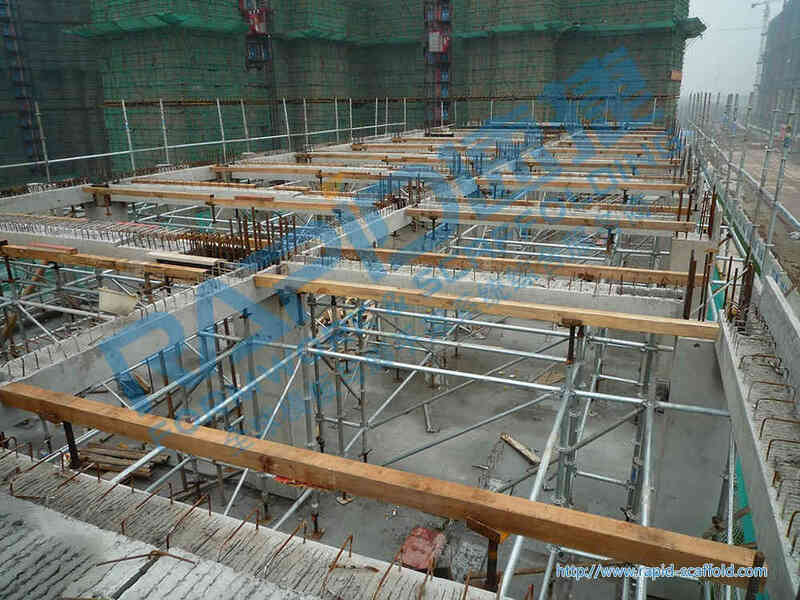 1.Thickness plate.1100mm is very thick ,the load reached 30 kn / ㎡,Rapid Scaffold used 0.9m*1.2m*1.5m shoring frame. 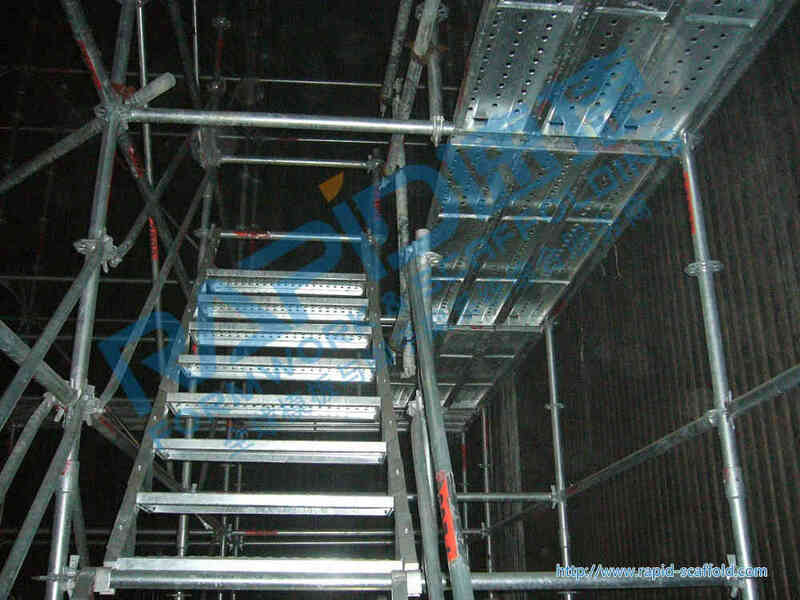 2.High height.This height needed High demands on the scaffold overall stability. 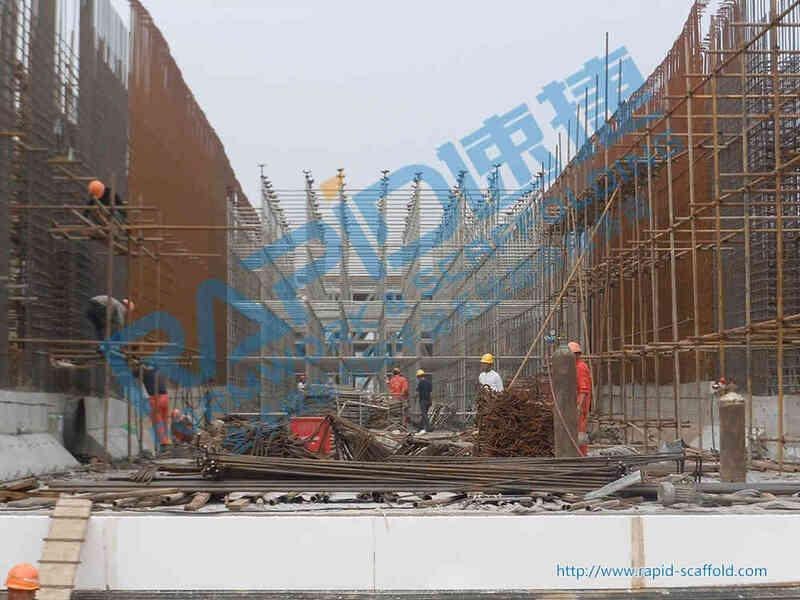 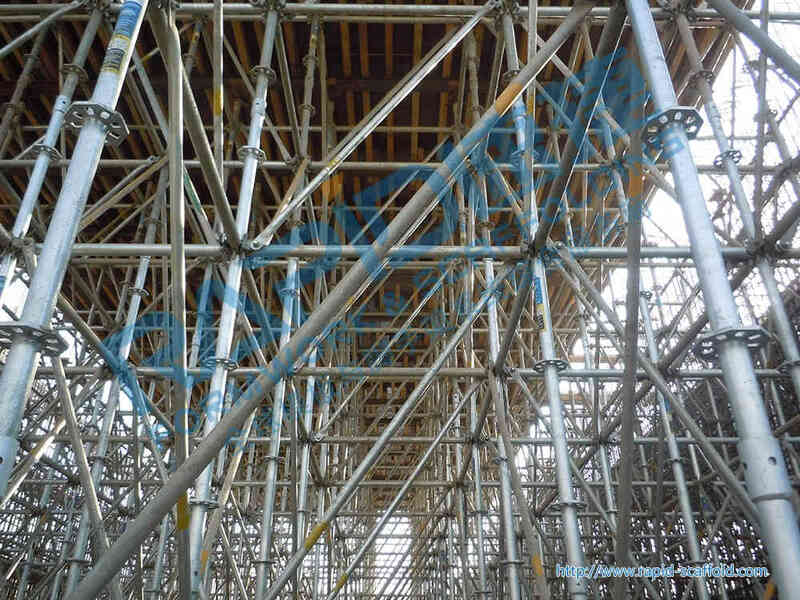 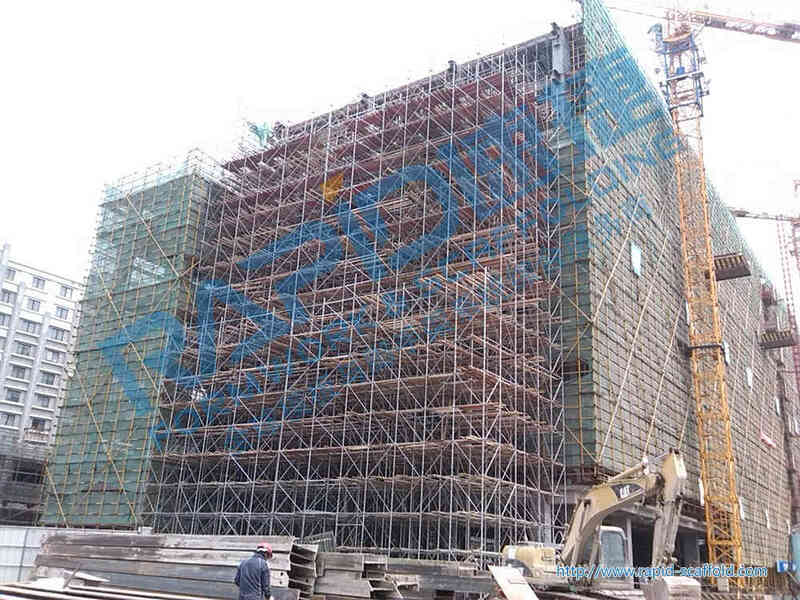 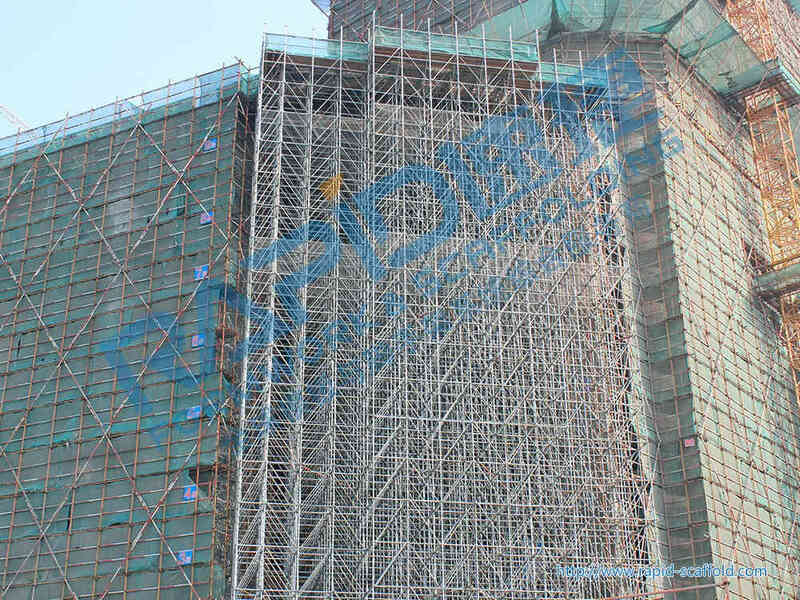 Rapid Scaffold used less material than other scaffold,and improves the overall stability and bearing capacity , less labour.